Cedar Waxwing populations supposedly have increased over the last 20 years. I am inclined to believe it, as I feel that this is a bird I would rarely see when I was younger, but now I hear its trilling, whistling calls on a regular basis. Part of the reason for this is that I live near a canal that connects to Lake Michigan. The canal has many fruit bearing trees upon which waxwings voraciously feed. Another quality of the canal that the waxwings are attracted to, is that it provides border habit. Trees bordering the water provide overhanging branches for the waxwings to launch in to their dips and dives after the many insects that hover over the water. When I started making this watercolor, it quickly began to register as a Christmas-y image, with the greens and the berries. In the cycle of Cedar Waxwings, however, this is very much a summer image. Their diet is very reliant on sugary fruits. So much so that their breeding season is later in the summer to coincide with the abundance of fruit. I've just always loved their coloring, and their little bandito masks. Their gregarious, active nature, gives them an air of mischievousness. It's been hard to get outside to do much of anything here, birding included, due to the unbearable heat. I hope wherever you are it's not too hot, and if it is, you have power, or at least access to a nice swimmin' hole! 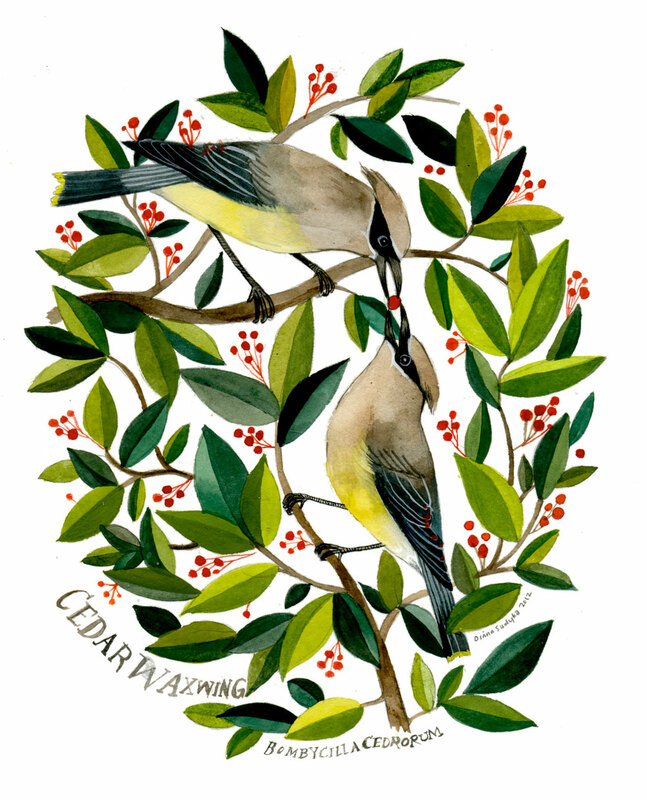 I love cedar waxwings too, and this is a beautiful painting! I hope you will make a print available in your shop. Such a striking piece this Diana, it's gorgeous. We have plenty of watering holes over here in the UK, non stop incessant rain. Weather extremes can really get to you. It's been flash floods and the garden is looking somewhat jungle like. Hope it changes soon for both of us! We see cedar waxwings often in our yard as we have lots of shrubs and trees with berries. But I had to look them up the first time they are visited as I didn't recognize them. 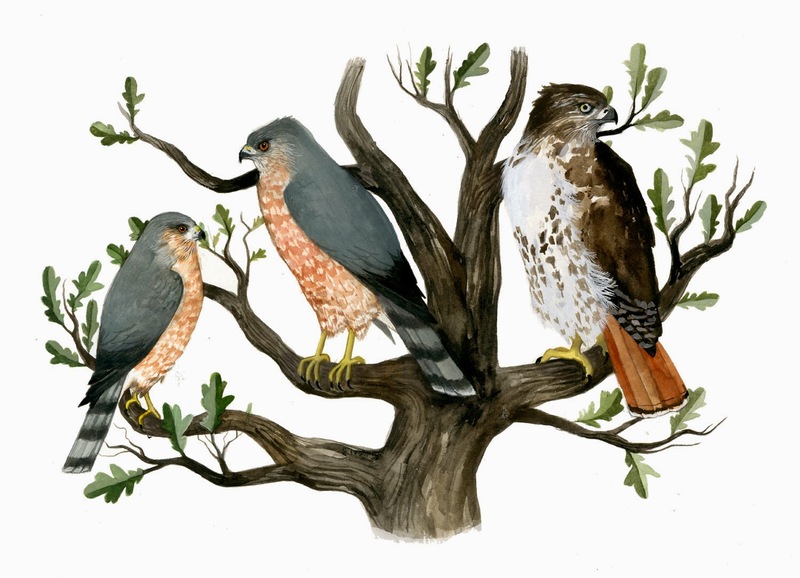 They are such handsome birds but I refer to them as the 'masked bandits' (similar to your reference) as they eat our serviceberries (amelanchier) before we can get to them. They also love our high bush cranberries.